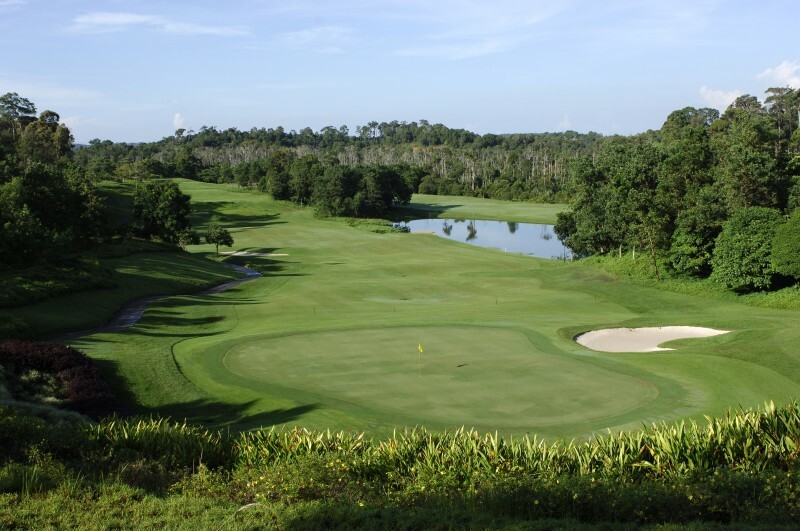 Ria Bintan Golf Club is a 27-hole championship golf course designed by Gary Player. 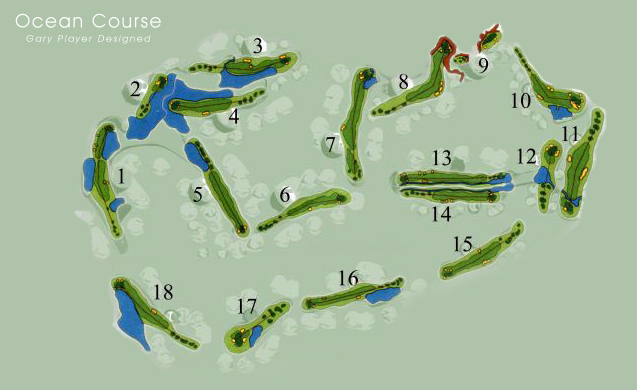 The 18-hole Ocean Course and the first nine holes of the 18-hole Forest Course opened for play in October 1998 and December 2000 respectively. 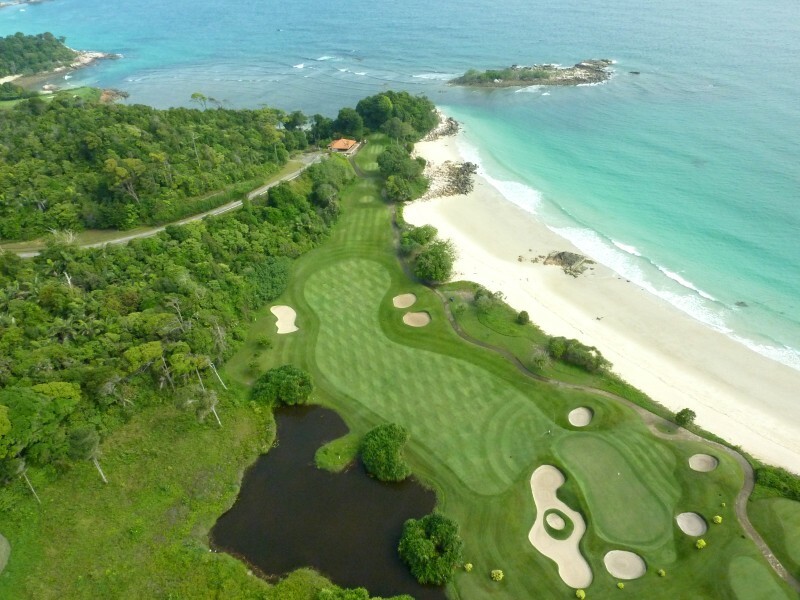 The Ocean golf course at Ria Bintan offers two distinct playing atmospheres. 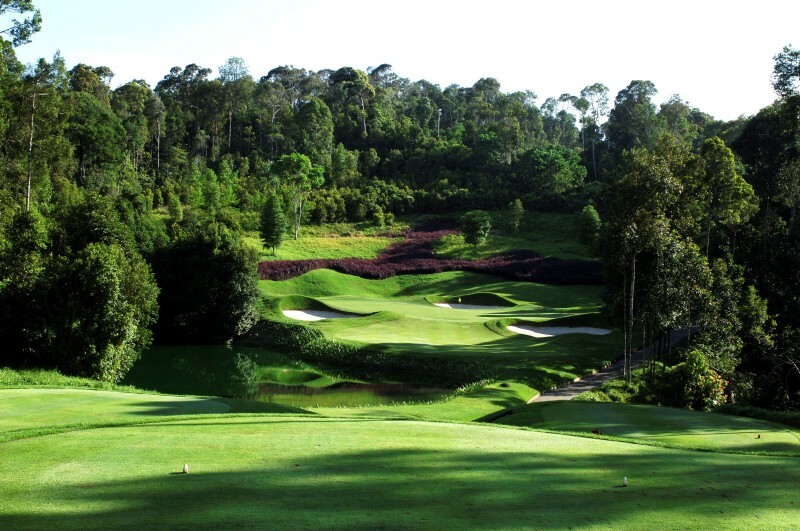 The course cuts through the native jungle of Riau, where you are more likely to come upon monkeys, small deer or wild boar than other humans. 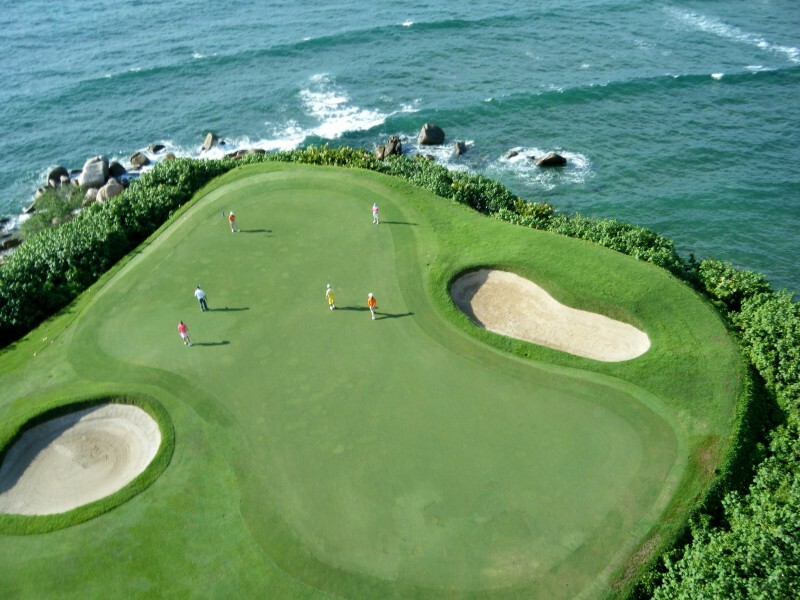 It also has its seaside holes and it’s these holes that will be best remembered by visiting golfers. 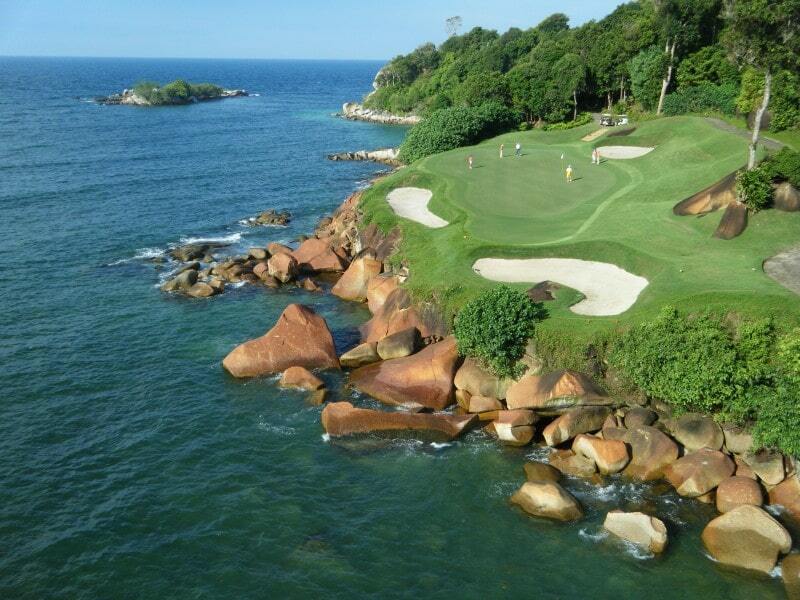 At the par five 7th (voted best par 5 in Asia) the sea is revealed to the golfer halfway down the fairway. 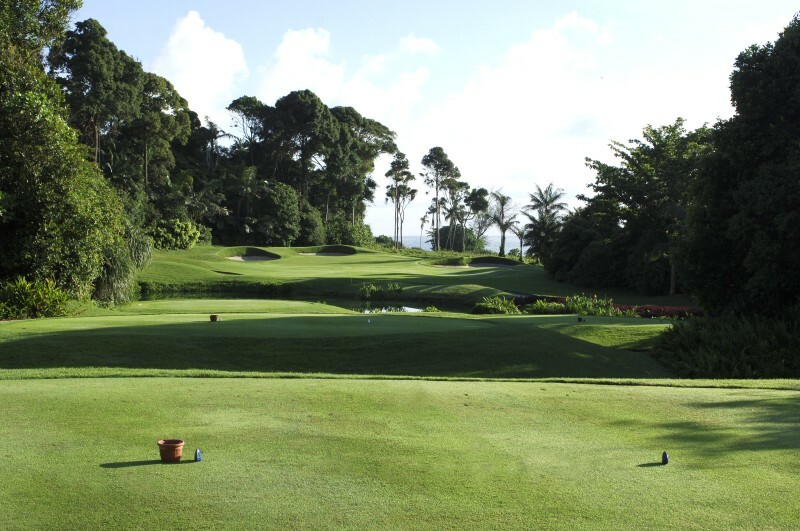 From here you get closer to the sea via the short dogleg 8th and then play along it at the par three 9th. 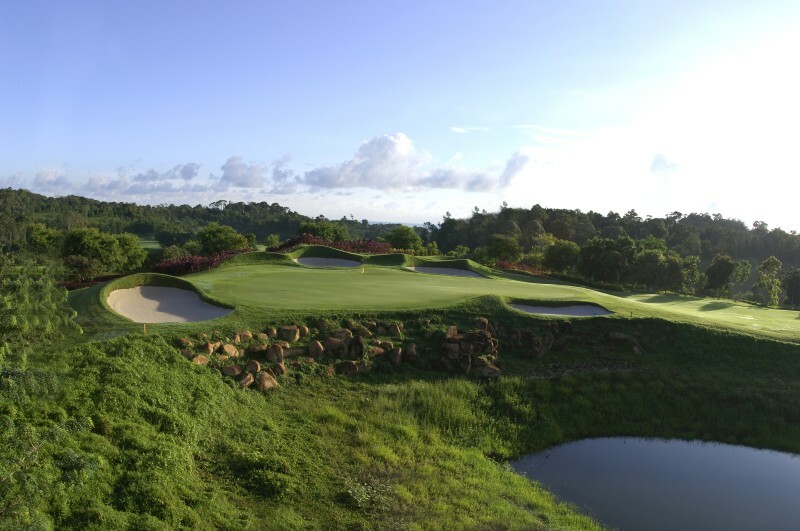 This famous hole, photographed extensively is for most golfers a must play hole requiring a medium iron played over the beach to an archipelago green. 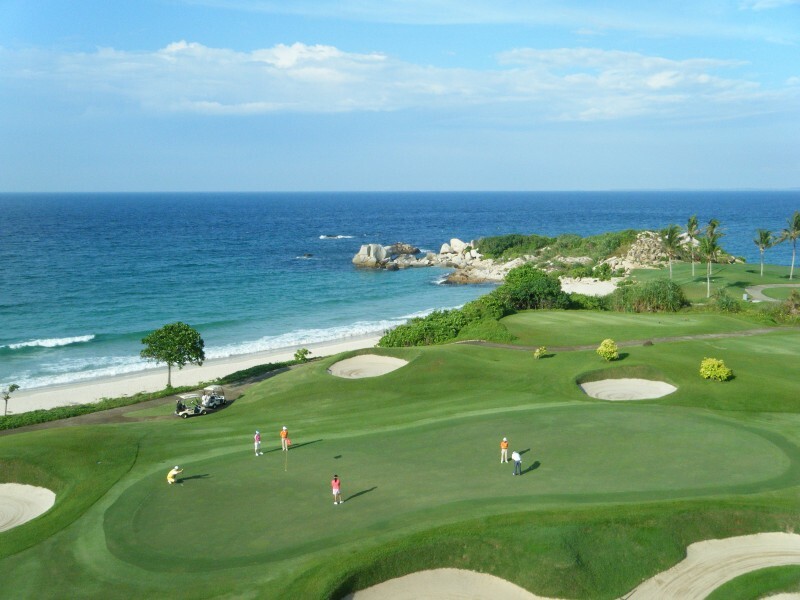 The last view of the sea is at the par four 10th where you play alongside the beach. 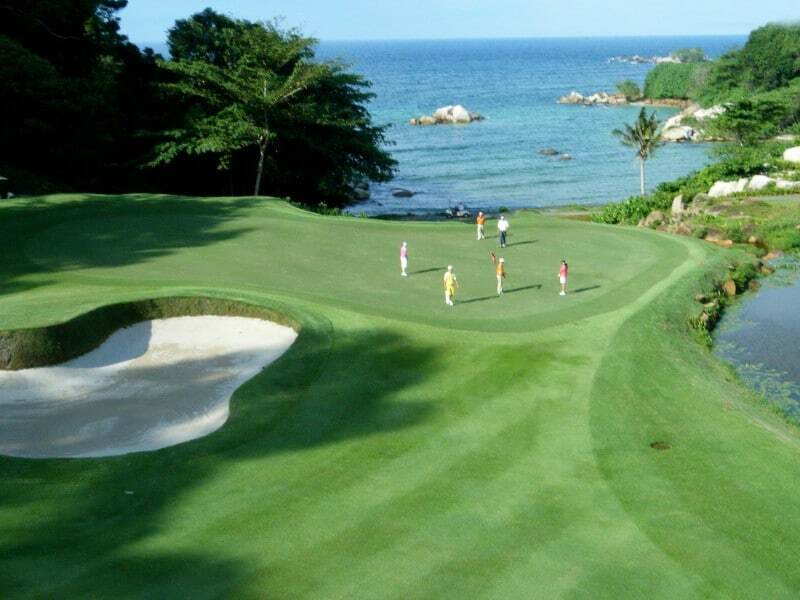 Ria Bintan's Ocean Course conditioning and presentation is the best in Indonesia and is as good as the best courses in nearby Singapore. 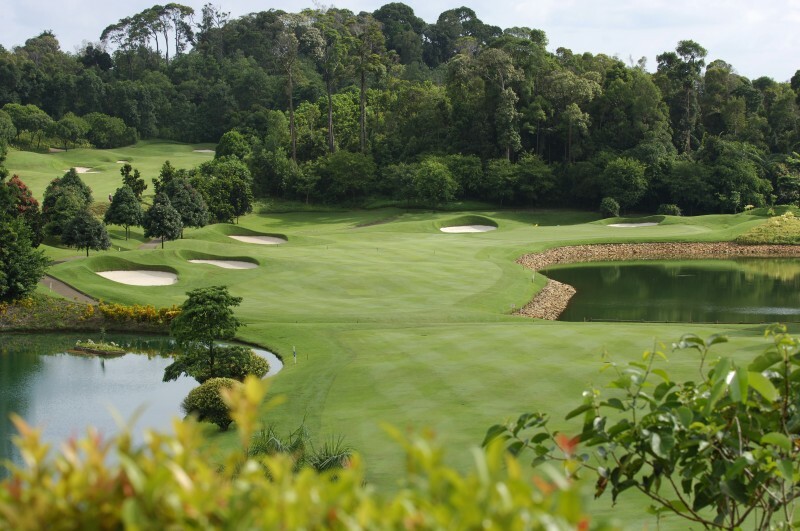 The course measures 6,470 metres from the championship tees. 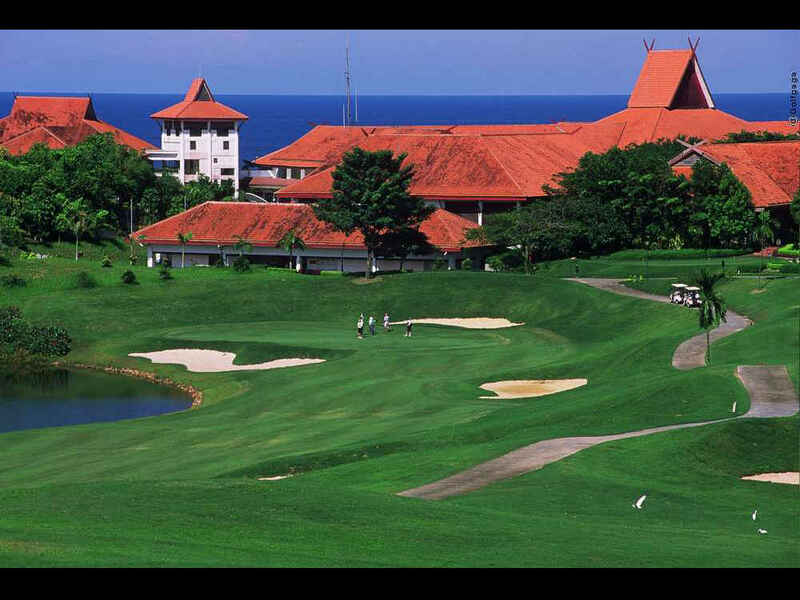 Ria Bintan Golf Club has made it to the official ranking of the Top 100 golf Courses published by Golf Digest Magazine. 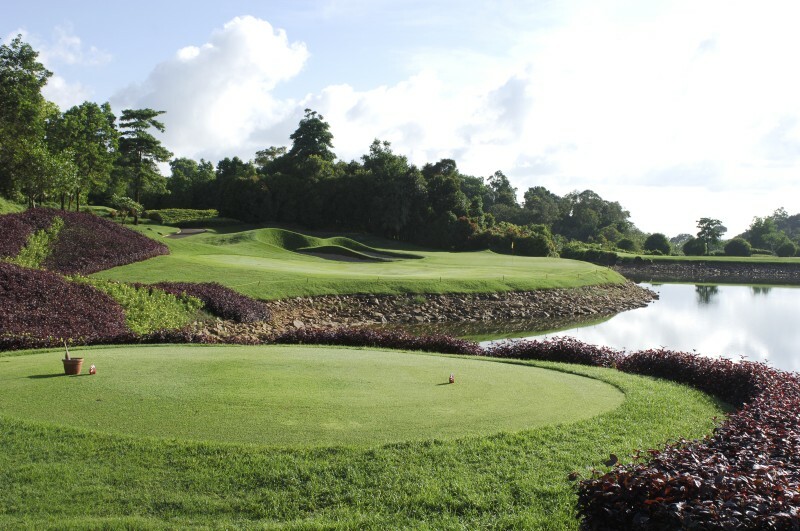 Ria Bintan Golf club clinched first winner awards in the Asian Golf Monthly Awards 2008 for Best Golf Course in Asia, Best Course in Indonesia and Best Par 4 in Asia. 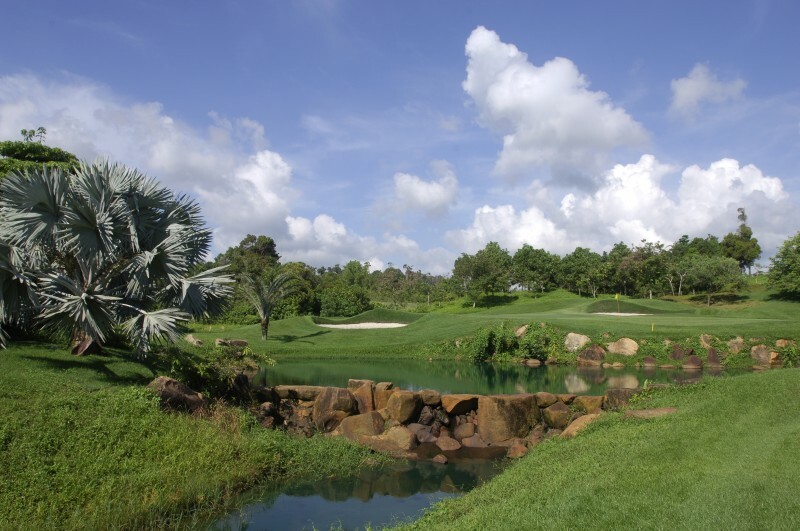 Have you played golf at the Ria Bintan Golf Club and took some nice photos that you would like to share with other golfers? Send them to us and we may upload them here. Thank you in advance!